Norman Sutton’s life straddled the Pennine hills, being born in Yorkshire and laid to rest in Lancashire. His family was used to going where the work was, having moved to St Helens from Staffordshire shortly after his father, Oliver, was born. Oliver left school to work as a clerk at glass manufacturers Pilkington Bros. Ltd and married Dora Smith Hartley at Prescot in the spring of 1907. They settled in Saddlers Lane, Eccleston and soon became parents of a son, Gerald Hartley Sutton. In 1913 Dora was expecting Norman, but shortly before his birth the family was asked by Pilkington Bros. Ltd to transfer to their Bradford works. 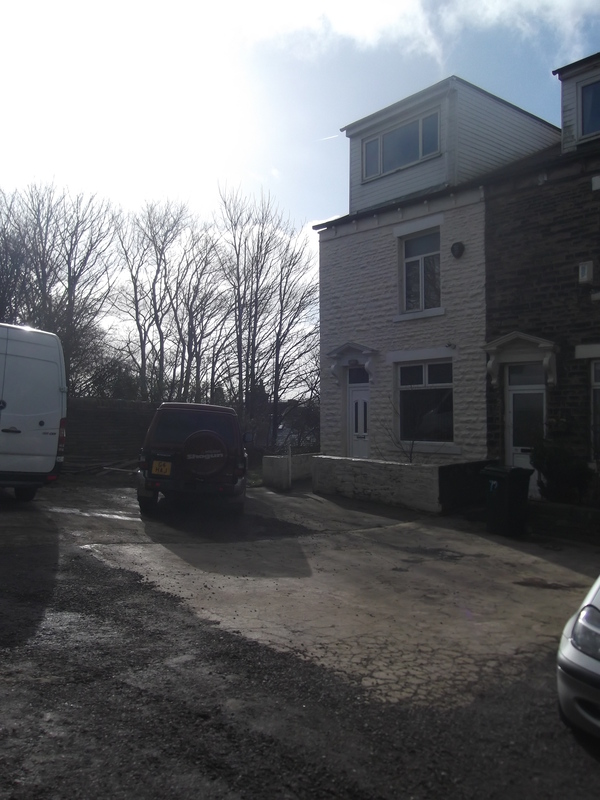 Arrangements went well and the family moved into an end of terrace house at 76 Airedale College Road (now demolished) where Norman Sutton was born on 19 July 1914, just nine days before the outbreak of the First World War. His father, Oliver, was to play his part in the conflict. Oliver enlisted with the Royal Navy Air Service (RNAS), the naval wing of the Royal Flying Corps (RFC), on 10 August 1917 joining HMS President II at Crystal Palace. Despite the name he did not join a ship. HMS President II was, in fact, a shore establishment, otherwise known as a “stone ship” that acted as London headquarters for Admiralty based personnel. Oliver was only there for a day before moving to the Royal Navy’s Central Depot and Training Establishment at Cranwell for training as an Aircraftsman II. His service number was F35389. The RNAS was primarily the service that advanced the British bombing capability. As the war progressed the aircraft that delivered those bombs grew large and more deadly and so required expert maintenance. For instance, the problem of firing through a spinning propeller was solved by a synchronising gear that was first employed on the Sopwith 1 ½ Strutter. The fliers became fighter pilots and Oliver was one of the men who maintained their aircraft. He impressed enough and was promoted to Aircraftsman I on 10 February 1918. On 1 April 1918 the RNAS and the RFC amalgamated to form the Royal Air Force. Oliver transferred across as a Private, service number 235389, and saw out the remainder of the war. Oliver was discharged with Medical Category B1 on 10 February 1919. In RAF parlance this meant that he free from serious organic diseases, able to stand service on lines of communication in France, or in garrisons in the tropics and able to march five miles, see to shoot with glasses, and hear well. In other words he had come through unscathed. He remained part of the RAF Reserve until 30 April 1920 when he was deemed as fully discharged. He returned to Bradford having been awarded the British War Medal because he had ferried aircraft to France and had served on ships carrying aircraft. Shortly after his father returned from active service, Norman’s sister, Irene Sutton, was born in June 1920. 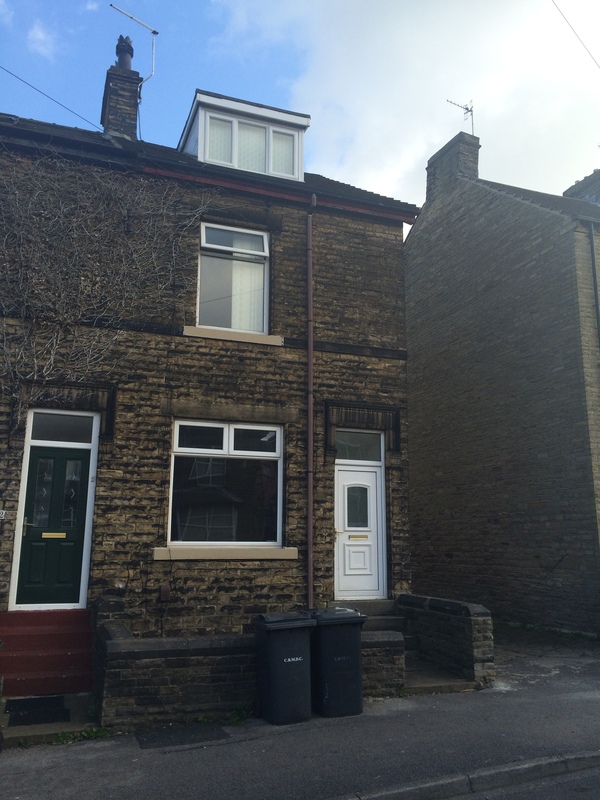 By now the family had moved to 30 Wightman Street Bradford, a larger terraced house that could accommodate a growing family. Norman’s childhood was a typical one of the times but he did well enough during his elementary education to pass the entrance examination to Belle Vue Boys Grammar School. Discipline was important and he was required to wear the school uniform but he proved to be an able pupil who performed well in a range of subjects. Belle Vue’s alumni included author J B Priestly, who was to broadcast bulletins in answer to Lord Haw Haw’s propaganda throughout World War 2. 15 Norman Grove, Bradford, Norman’s home in the early 1930s. Oliver continued working at Pilkington Bros. but had moved out of the office to become a Commercial Traveller, selling Pilkington’s products throughout the area. 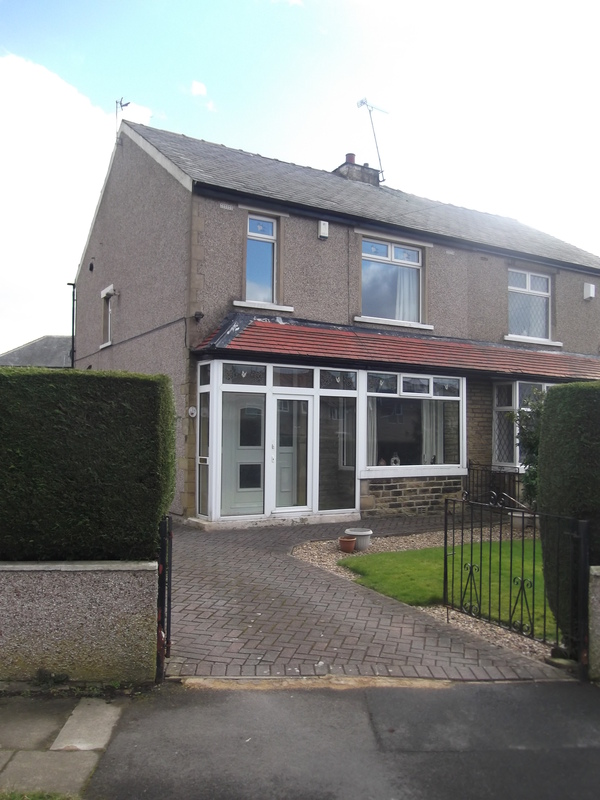 This afforded the family the opportunity to move again, this time to a pleasant semi-detached house with garden at 15 Norman Grove, Bradford. Tragedy was to strike the family as just days after Norman’s 17th birthday. Dora, his mother, contracted Lobar pneumonia and died on 24 July 1931. Dora Sutton was laid to rest in Undercliffe Cemetery on 27 July. Oliver’s work brought him into contact with many new customers and it was through this that he met Florence Walker, a clerk at Pilkington Bros. The couple were married at St Andrew Church, Bradford, in March 1934. His family obviously approved of their father’s new wife as Norman signed the marriage register as a witness. 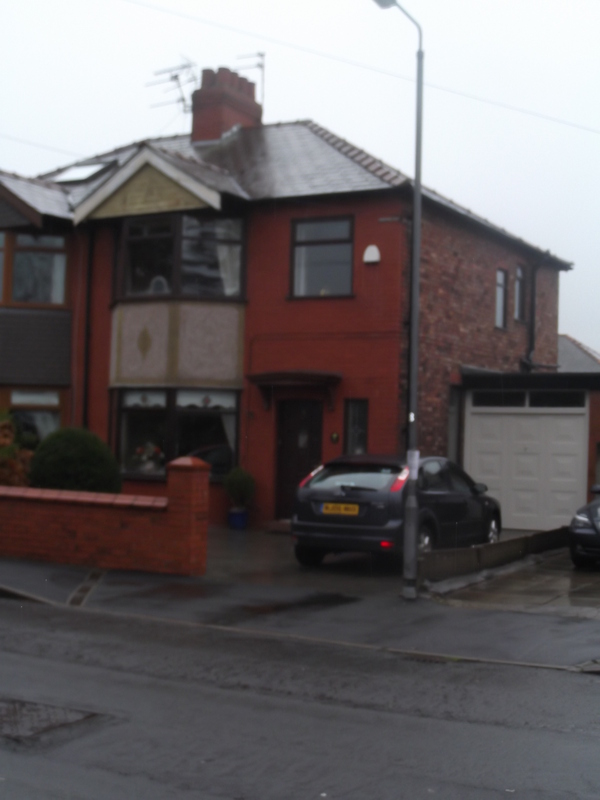 Around this time Oliver moved the family back to St Helens purchasing a house at 91 Ruskin Drive. Norman followed in his father’s footsteps, taking up employment as an invoice clerk at Pilkington Bros. Ltd. He enjoyed being active in his spare time, playing for St Helens Rugby Union FC, not to be confused with the more notable St Helens Rugby League club. He became involved in local politics joining the North Windle Conservative Club. At this time the area he lived in was a Conservative stronghold but Norman and his fellow Tories were up against a wider, almost impenetrable, Labour support drawn from the town’s mining industry and the Catholic and Irish residents who had settled there. Although his party were successful in his ward, Labour dominated the Council during the inter war years. Norman was a keen observer of international politics too and it was his concern about the unfolding situation in Europe that convinced him to be one of the first men in St Helens to join the Auxiliary Air Force.